When you purchase homeowners insurance, you expect to be protected from financially crippling property damage and third-party liability. Unfortunately, insurance companies frequently put their own interests before those of their insureds. They will look to stretch the meaning of exclusions or find other ways to avoid their duty to provide coverage. If your homeowners insurance provider has wrongfully denied coverage for your property damage claim or failed to provide a defense in a third party liability situation, or you simply have questions about your rights, contact the civil litigation attorneys of Maginnis Law at 919.526.0450. You can also reach us at info@Maginnislaw.com or submit information through our contact page. There are two primary coverages provided by most homeowners insurance policies, property damage and third-party liability. Property damage coverage insures you against loss to your physical property, including your home itself. For example, if lightning strikes and destroys your electronics, your policy will likely provide coverage. 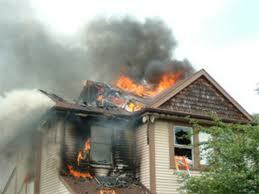 Your policy will also likely insure you against loss caused by fire. There are a number of property losses specifically excluded from most North Carolina homeowners insurance policies, including property damage caused by earthquakes, floods, and landslides. If you have sustained serious property damage and an insurance adjuster has told you that the loss is not covered by your homeowners insurance policy, the insurance coverage attorneys of Maginnis Law can review your policy to determine whether you have a claim for coverage. If the insurance company’s denial was particularly egregious, you may also have a right to treble or punitive damages pursuant to claims for unfair claims handling and bad faith (see our insurance coverage page for more information). When a third party is injured while on your property, and you have kept up with your obligations under a homeowners insurance policy, it is the insurance company’s duty to pay for your attorney and compensate the third party for his or her injuries up to the limits provided in the insurance policy. If the insurance company claims you do not have coverage, contact the knowledgeable insurance coverage lawyers of Maginnis Law. We will determine whether your policy actually does provided coverage, or, if you were mistakenly not issued liability coverage, we can help you consider a claim under your insurance agent’s Errors and Omission policy. These type of coverage disputes are typically far less costly to our clients than paying for an attorney to defend a personal injury lawsuit by a third party. Maginnis Law regularly assists clients in homeowners insurance coverage disputes in Raleigh, Durham, Cary, Chapel Hill, Apex, Morrisville, Wake Forest, Clayton, and the surrounding area, including Alamance, Johnston, and Chatham counties. Our civil litigation insurance coverage attorneys are able to operate under a number of fee arrangements, including hourly, flat fee, and contingency, or any mix thereof. To discuss your case your homeowners insurance coverage dispute, contact our firm. We may be able to help you.